Jamie focuses his practice on commercial real estate, representing clients in a broad variety of matters, including the acquisition, disposition, financing, development, leasing and management of real property across all asset classes throughout the United States. 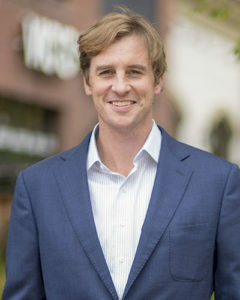 When working on real estate transactions, Jamie further assists his clients with the formation and negotiation of partnerships, limited liability companies, and other business organizations. With extensive experience handling legal matters related to capital markets and commercial financing, Jamie routinely represents national banking organizations and large credit unions. He has advised clients on multiple real estate-backed commercial loan originations collateralized by assets located throughout the country, including several loans made in connection with single-tenant assets leased by the United States General Service Administration. In addition, Jamie provides counsel to lenders on real estate workouts, financial restructurings and other distressed debt transactions. In this regard, he reviews and analyzes lender remedies under loan documents and other legal papers before advising them as to the rights and obligations of all parties and assists in the repositioning of any distressed assets in receivership or acquired through foreclosure. Represented a student housing development and management company in the purchase of multiple college and university student housing projects across the county, totaling approximately $500 million in value. Assisted the owner and operator of multiple senior living facilities in the development, acquisition and licensing of Continuing Care Retirement Centers. Advised large Washington, D.C.-based a real estate private equity fund on a number of acquisition and development projects. University of North Carolina at Chapel Hill, B.S.B.A.